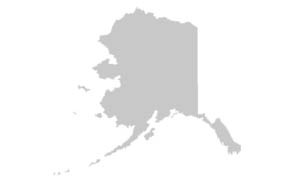 Fairbanks is located in the heart of interior Alaska, 370 miles north of Anchorage, 12 hours by train. Located near the confluence of the Tanana and Chena Rivers, Fairbanks is Alaska's second largest city, and was originally founded in the early 1900's as a trading post serving stern-wheeler riverboats and early gold prospectors. The town still plays an important supply role in Alaska due to its proximity to the Arctic region. 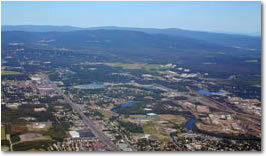 Fairbanks typically enjoys long warm days during the summer months..
Is your time at a premium? This tantalizing mini-tour takes you to Alaska's largest city, and to the grand mountain that defines Alaska and the abundant wildlife that thrives in Denali National Park. 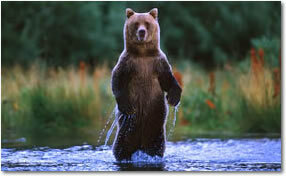 Located in the heart of Alaska's magnificent and rugged interior, the six million acre park is home to majestic Mt. McKinley and features glaciers, a sub-arctic ecosystem, and an internationally designated biosphere preserve with moose, caribou, Dall sheep, grizzly bears and wolves.